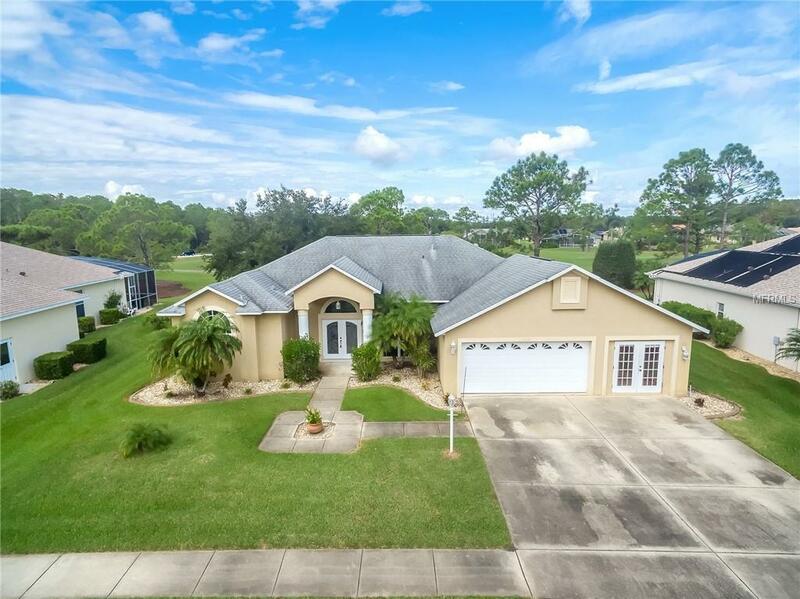 Located in Cypress Head, a gated Port Orange golf community, the 3 bedrooms, 2 baths home offers a gorgeous view of the golf course. Inside you will find an open floor plan with a spacious kitchen that overlooks the golf course, a formal dining room, plus a large living room and nice sized bedrooms. The home has lots of closet space, an original 3 car garage that was converted down to 2 but easily restored back providing room for the golf cart or toys. This home is in a great school system, close to good restaurants, shopping and the major highways. What more could you ask for. It will take some work to bring this home back to its grandeur, but it will be worth the investment. Come take a look and see how you can make this house your great home. There are no warranties expressed or implied. All measurements are approximate. Square footage received from tax rolls. All information recorded in the MLS intended to be accurate but cannot be guaranteed. Listing provided courtesy of Ca Calnan Real Estate.